The world's most powerful wind turbines have been successfully installed at the European Offshore Wind Deployment Centre (EOWDC) off Aberdeen Bay in Scotland's North Sea. The final turbine was installed on Saturday just nine weeks after the first foundation for the 11-turbine offshore wind farm was deployed, according to the developers Vattenfall. Incidentally, the project was at the center of a contentious legal battle waged—and lost—by Donald Trump, before he became U.S. president. Trump felt the "ugly" wind turbines would ruin the view of his Menie golf resort. "I am not thrilled," Trump said in 2006, as quoted by BBC News. "I want to see the ocean, I do not want to see windmills." But in 2015, the UK Supreme Court unanimously rejected Trump's years-long appeal against the wind farm, which now stands 1.2 miles from his luxury golf course. Danish offshore wind energy developer Ørsted officially opened the 573 megawatt (MW) Race Bank Offshore Wind Farm Wednesday, which will provide over half a million UK homes with clean electricity. The Race Bank Offshore Wind Farm has had something of a long history, and was only pulled out of trouble in late 2013 when DONG Energy (now known as Ørsted) acquired 100% ownership in the project from British multinational energy and services company Centrica. A year and a half later, DONG Energy awarded a wind turbine order to Siemens (now Siemens Gamesa) to provide 91 of its 6 MW wind turbines for the project. Located 32 kilometers off the British eastern coast, Race Bank was one of the big projects announced through the early part of this decade, but has since been eclipsed by much larger projects with much bigger wind turbines. At the end of 2016, DONG Energy divested 50% ownership in the project to the Macquarie European Infrastructure Fund 5 and Macquarie Capital, the principal investment arm of Macquarie Group in a deal that was worth £1.6 billion ($1.2 billion). And finally, at the beginning of February this year, Ørsted announced that Race Bank had reached full power output across all of its 91 wind turbines and had already generated 1 terawatt-hour (TWh) of power  since construction had begun. The project was therefore officially opened at a ceremony in Grimsby on Wednesday, home to Ørsted’s East Coast Hub, the UK’s largest offshore wind Operations and Maintenance (O&M) base. The project, beyond being a massive provider of clean electricity, also makes use of a new way of carrying out offshore maintenance, using a Service Operation Vessel that remains offshore with technicians working 14 days and 14 days off. “Race Bank is a fantastic infrastructure project and underlines Ørsted’s contribution to the UK’s energy transition. It’s also another clear signal of our firm commitment to Grimsby and the Humber, and the UK supply chain for offshore wind,” said Matthew Wright, Managing Director at Ørsted UK. “Race Bank is a hugely significant and innovative project, featuring the first-ever turbine blades to be made in Hull and becoming our first wind farm in the UK to be operated using a new Service Operation Vessel. It’s also one of the fastest projects we have ever built, with a fantastic safety record, and this is testament to the hard work of the project team and the great relationship we have with our partners. Agelbert NOTE: This article is 5 years old, but worth your attention. Perhaps it has not gained much attention, simply because the units are not for huge wind turbines that get all the news. Nevertheless, they are doing a great service for smaller installations like homes and farms (see video at the end of this article and 2017 press release). To gear or not to gear? Most wind turbines have gearbox transmissions that connect the slowly spinning turbine with the speed-hungry generator. But gearboxes have disadvantages: they’re noisy, complex, and prone to failure. Gearboxes need regular maintenance and lubrication, increasing their total cost of ownership. Some manufacturers have opted for gearless direct-drive turbines, but there’s a trade-off: because the shaft spins slowly, they require much larger permanent-magnet generators, increasing the weight and initial cost of the turbines. A new technology may capture the best of both designs. Windtech has partnered with Future Force LLC to build a turbine based on the Zero Contact TransmissionTM (ZCT) patented by Future Force. The technology uses a transmission of sorts, but instead of mechanical gears, belts, or chains, the ZCT uses neodymium permanent magnets to make the generator in the turbine spin five times faster than the rotor. Lab tests conducted at the University of St. Thomas (Minnesota) have shown the ZCT to be 98% efficient at transferring energy from its input to its output. As shown above, the rotor drives the main shaft, which is magnetically coupled (via the ZCT) to five independent generators, each spinning five times faster than the rotor. (The picture only shows four generators, but their documentation says five. There must be one in the middle.) This provides redundancy; the turbine could withstand the failure of one or two generators and still produce some power. The turbine is capable of generating substantial energy at low wind speeds; its peak power occurs when the wind speed is 8.1 m/s (18 mph), where comparable turbines require speeds in excess of 12 m/s (27 mph) to achieve peak output. Its startup speed is a meager 2.2 m/s (5.0 mph). It’s designed for locations with average wind speeds of 4 m/s (8.8 mph), which makes wind power viable in 50% more places. Windtech is currently testing a prototype of its 100E 10 kW turbine (pictured below) in Glencoe MN. They plan to sell the 100E at a price that’s competitive with other units of similar size, making it more likely that customers will take this turbine out for a spin. Future Force Zero Contact Transmission (ZCT) hits 15,000 hour milestone. The ZCT designed and built for WindTech, Inc. just surpassed 15,000 hours of operation with NO lubrication. I have the two turbines I bought from Mike after I took my turbine building course. I built one like my little one, and I helped build one like my bigger one, but I had Mike build the ones I bought. Experience is worth something. His simple designs have been proven. Nothing fancy, but plenty of them in service. For wind, its a relatively easy job to build a turbine from commonly available stuff, if you can get magnets. I went for simple rather than high efficiency. Sourcing and erecting a tower is a much bigger job, imho, than building a turbine. And with 9mph wind, it's more of a novelty here. But on some days in winter it would no doubt be nice to have a turbine spinning, even here. I have not ever gotten a tower up. Expensive, complicated job, usually requiring a crane. I've been shopping for a good tower deal forever. I have a low wind Mallard LW built from a repurposed Delco car alternator, and a bigger Mallard SP80. True. As you said, the advantage a wind turbine could have over photovoltaic is strictly in places where there is a lot of pretty constant wind, particularly at night, I might add. Great for boats. Boat mounted turbines max out their performance when you're actually under sail, so its a little different than a land based turbine. Wind generators really produce power when sailing on a reach. The wind coming off the main sail gets directed back to the wind generator at a higher wind speed causing the wind generator to produce power. The coast here is windy enough to make them work at anchorage, but that isn't a given everywhere. I had a hairbrained idea at one time that you could set up a vertical axis wind turbine on a boat that would be speed regulated by a "governor" (sort of like those steam engine governors that slow down or speed up with the centrifugal force of weights) type rotor assemply that would reduce wind exposure when the wind got too strong and increase it to max when the wind was weak. I fancied that the mast of this wind turbine would have to be REALLY strongly attached to the frame of the boat, simply because the gyroscopic effect would be fighting the rocking of the boat in normal seas, trying to tear it loose, all the time. It was probably a bad idea but I enjoy those types of thought exercises, even if they never come to a hill of beans. Way back in the early years of the 20th Century an ocean liner owner got the bright idea to use giant gyroscopes bolted to the bottom inside base of the ocean liner so the ship would not rock in high seas. When the ship got into some rough seas, the huge and weighty gyroscopes (there were around four of them placed equidistantly along the bottom inside), each as tall as three humans, tore the bolts off. Those dadgum giant gyroscopes just did not wanna go where the ship was going. Of course, that was the end of that idea. I had a flight student that was an ocean liner officer. He invited me on board and showed me the bridge. Since he was learning to fly and knew the ship controls would interest me, he showed me how the "wings" of the ocean liner worked. The vanes under the water line are used to generate hydrodynamic "lift" up or down, like ailerons on an aircraft (vanes on the port side work opposite the vanes on the starboard side). He explained those vanes keep the liner from rocking much in rough seas. Let me tell you, they are not that small, even though they are much smaller relative to the ship body than aircraft wings are to a fuselage. Those vanes are very tough as well. If water/wave pressure from a surprise sea can tear off a ship's rudder, those hydrodynamic vanes need to be super strongly attached. I guess that's the way they finally went when the gyroscope idea didn't work out. That was way back in 1970. I don't know if they still use "wings" under water to stabilize ocean liners. And I remember reading about rotor ships. Yes, that magnus effect is a very real way of harvesting wind for propulsion quite efficiently. Several types of rotor ships can be distinguished. Rotor sail-only ships exist, as do rotor sail-assist (hybrid) ships. Wind Ship Development Corporation has two types of sail-assist designs, for use with different sizes of ships. In practice, most rotor ships have a system with an electric motor that allows the initial start and eventual stop of the rotor by crew. Rotor's rotational speed (i.e., RPM) and direction of spin can also be controlled. In 2014 Norsepower, a Finnish clean technology and engineering company pioneering the generation of renewable wind energy for the global maritime industry, announced that it will bring to the market the "Norsepower Rotor Sail Solution" which is a completely modernized version of the Flettner rotor. Later in 2014 Norsepower installed the first Norsepower Rotor Sail on Finnish shipping company Bore's RoRo vessel M/V Estraden, and in the end of 2015 Norsepower installed a second similar unit on the same ship. In the beginning of 2016 it was released by Norsepower, that based on the successful sea trials on board M/V Estraden, the technology has potential for fuel savings of up to 20% for vessels with multiple, large rotors traveling on favourable wind routes. After Norsepower's success with the new design, also Viking Line returned with the rotor concept for their next planned newbuilding. The first image of a new 63,000 GT vessel shows large Flettner rotors which could help the ship to reduce fuel consumption with up to 15%. Letter of intent was signed for the ship in November 2016, awaiting final agreements signing in early 2017. According to a Finnish newspaper, the rotor concept of Viking Line is based on Norsepower Rotor Sails. The latest news from Norsepower is that they have agreed with world's biggest shipping company, Maersk, to start testing the rotor concept in Maersk ships starting beginning of 2018. The managing director of Norsepower, Tuomas Riski, promises their innovation to cut 7–10% of fuel cost leading up to 300000€ savings in big tankers. In 2018, the MS Viking Grace was retrofitted with a rotor for further testing. US company General Electric (GE) will ramp up its investment in wind power in Germany in a bid to revive its ailing business, Axel Höpner and Kathrin Witsch write in the Handelsblatt. The veteran US manufacturer, which has recently got booted from the Dow Jones Industrial Average 30-stock index and is grappling with a waning gas turbine business, wants to increase the number of its employees in Germany and to also boost its investment in the renewable energy branch, the authors write. “We want to grow our wind power business in Germany and in Europe and increase our market share,” GE Germany head Wolfgang Dierker said. GE, which has an estimated annual revenue of 3.5 billion euros in Germany, has already announced an attack on rival Siemens’s home market in the past, the article says. Its share in new wind power installations now more than doubles that of Siemens and new products, such as the planned 12 GW offshore turbine ‘Haliade-X’, could help GE boost its share further in the next years, it adds. 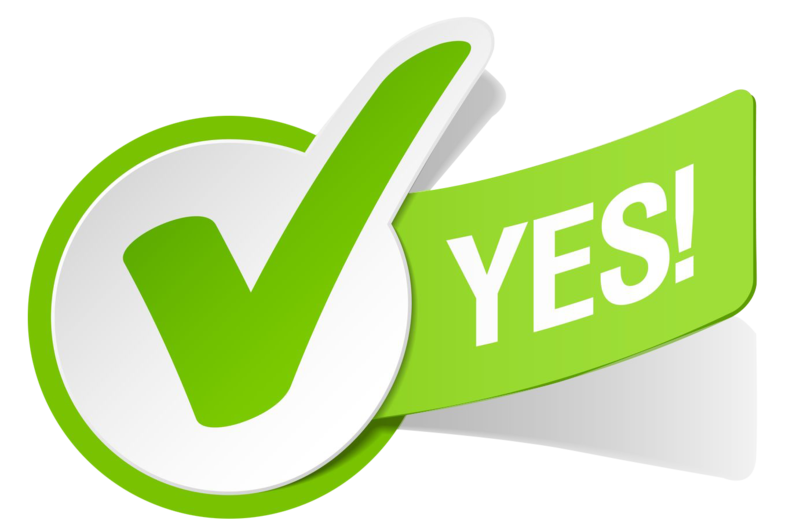 CGE Energy, Inc. announces that the United States Patent and Trademark Office (USPTO) has issued U.S. Patent No. 9,970,410 to the company, entitled, “Installation and erec tion assembly for an elongated structure.” This patent covers the proprietary equipment used for the easy delivery and crane-less installation of CGE Energy’s WIND•e20 vertical-axis wind turbine. CGE Energy says its WIND•e20 is the world’s only turbine that can be installed, maintained, and removed without a single crane. The turbine can be delivered on the back of a standard flatbed truck, self-erects, and be installed within days. CGE’s newly issued patent covers a hydraulic installation frame, devised to support their WIND•e20 turbine (or other wind turbines or elongated structures) in a folded arrangement for transportation on a trailer, and to support assembly and erec tion of the turbine. This transport frame enables the turbine to be delivered on a flatbed truck and can lie flat for maintenance without the need of a crane. This diverges from the way traditional horizontal wind turbines are assembled after delivery, which typically require costly cranes for installation and repair. This patent adds to the list of other key patents that are owned by CGE, including having a fluid driven turbine that generates power from wind blowing from any direction, its generator and primary components located in the base of the turbine, and hydraulic locking joints within the turbine’s segmented blades, which allow them to collapse flat against the rotor. CGE Energy’s strategic manufacturing partner for WIND•e20 is Roush, headquartered in Livonia, Michigan. CGE Energy is also working with Roush’s team to patent innovations that will make WIND•e20 an integral part of the community, bringing positive impact to communications, life safety, homeland security and emergency response. The WIND•e20 uses three segmented blades to produce power from 20 to 100 kW, depending on generator size. The spinning blades appear solid to birds so they fly 礪 around the working turbine. Wind turbine service company Liftra launched the Blade Way  in 2017 and introduced it at AWEA’s recent Windpower 2018 conference, as a way to remove and replace wind turbine blades without the time and cost expense of a high-reach crane. Blade Way has a rated capacity of 14.6 tons, and it can work at peak wind speeds of 12 m/s. These are the main components of a Liftra Blade Way  blade-removal system. Reduced mobilization costs that come from its transport in just two standard 40-foot containers. It boasts of universal compatibility thanks to a system that is configurable for all major turbine brands. Its proven wire system and controls are based on the company’s self-hoisting crane. Also, proven blade yokes are based on the last seven years of development in vertical blade installation technology. The system is comprised of two blade yokes, one for the root end of the blade and one for the tip end, and a hub sling and hoist block. ֍ Blade Way wire system at the turbine hub. ֍ A dual light-weight crane with two arms for hoisting the hub sling and hoist block. ֍ Wire system that runs from a winch in the container through the A-Frame and both blade yokes up to the hub sling. Blade Way  brings down a blade for repair. 1. Workers position the blade to be replaced by turning the rotor to position the faulty blade vertically. 2. The dual light-weight crane is hoisted with the internal turbine crane and mounted inside the nacelle. 3. With the light-weight crane, the hub sling system is hoisted and hooked around the two ‘bunny-ear’ blades. 4. The root yoke and tip yoke are threaded and hoisted along the wires to each end of the vertical blade. 5. The root yoke clamps the root end of the blade, and the tip yoke clamps the tip end, both at precisely defined positions. 6. The blade is lowered to the ground, either with or without the blade bearing. Once on the ground, the blade or bearing is changed, and the blade can be hoisted back up and reattached to the hub. Offshore wind turbine manufacturer and developer MHI Vestas announced on Wednesday that its flagship V164 9.5 megawatt (MW) offshore wind turbine, the world’s most powerful wind turbine, has been awarded an S class type certificate, paving the way for installations to begin in late 2019. The race to produce the world’s largest and most powerful wind turbine has been an ongoing battle and currently, the next landmark will see MHI Vestas replace its own record. MHI Vestas earlier this year supplied two of its 8.4 MW wind turbines, fine-tuned to 8.8 MW, to the European Offshore Wind Deployment Centre (EOWDC) in Aberdeen Bay, Scotland. Additionally, MHI Vestas’ uprated 8 MW turbine can sometimes reach 9 MW, but only when specific site conditions are met. The company will continue to out-do itself in the short-term, announcing this week that its 9.5 MW flagship V164 wind turbine has passed final certification and will now move towards installation at sites in late 2019. The certification was awarded a year after the company announced its 9.5 MW turbines which are larger than the mammoth London Eye Ferris wheel. However, MHI Vestas’ competitors are already nipping at its heels, including GE Renewable Energy, which in March of this year unveiled its monster 12 MW Haliade-X, which measures in at 260 meters to the tip compared to a ‘measly’ 187 meters tall for MHI Vestas’ V164-9.5 MW. Capable of powering up to 16,000 European households per wind turbine, the Haliade-X is the long-awaited move into double-digit figures and towards the necessary power to economically and efficiently make offshore wind a necessary dominant force in the world’s energy mix. Norway-based Offshore Heavy Transport is set to enter the offshore renewables market with a state-of-the-art heavy lift transport and installation vessel that combines semi-submersible capability with high-capacity crane operations. The ULSTEIN Alfa Lift design is developed by Dutch design company Ulstein Design & Solutions BV (UDSBV) in close cooperation with OHT. The patent-pending design combines the benefits of semi-submersible transport with a large, 3,000 mt lifting capacity main crane from Liebherr. A unique feature of the dynamically-positioned, 48,000 DWT vessel will be its ability to perform heavy lift crane operations with the main deck submerged. The vessel is purpose-built to transport and install up to ten 1,500 metric ton wind turbine jacket foundations or eleven 2,000t monopiles, plus transition pieces, supporting the installation of the world’s largest wind turbines. The first vessel will be constructed by China Merchant Heavy Industry (CMHI) and available for construction and installation activities from early 2021. OHT has options for up to 3 additional units. “We started the development of the ULSTEIN Alfa Lift idea back in 2015 with the driver to increase the safety of submerged operations and at the same time increasing the operability window for subsea installations using a crane,” says Edwin van Leeuwen, managing director at Ulstein Design & Solutions BV. OHT’s fleet currently consists of five traditional semi-submersible heavy lift vessels. By Jeremy Hodges (Bloomberg) — Orsted A/S unveiled the world’s largest offshore wind farm, an 87-turbine complex in the Irish Sea covering an area more than double the size of Manhattan. The Walney Extension off the coast of northwest England has a generating capacity of 659 megawatts and is capable of powering 590,000 homes, according to Danish company Orsted, the world’s biggest developer of offshore wind farms. MHI Vestas Offshore Wind A/S and Siemens Gamesa Renewable Energy SA provided the turbines for the project that began construction in August 2015. The Vestas 8-megawatt turbines stand 195 meters tall while the 7-megawatt version by Siemens is 154 meters from sea level to blade tip. Denmark-based offshore wind turbine maker MHI Vestas says it has broken the industry’s double-digit power barrier with the release of the world’s first turbine to achieve a power rating of 10 MW. 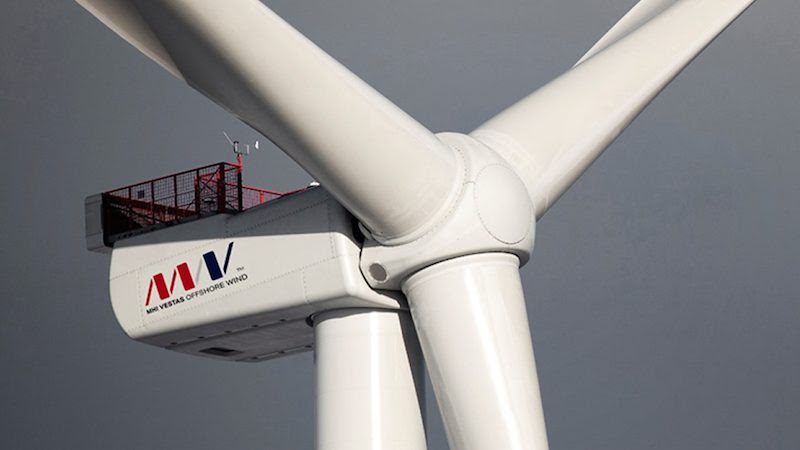 The record-breaking turbine, called the V164-10.0 MW, builds on the company’ popular V164 platform, with more than 100 V164 turbines already installed in the UK and Germany. With the 10 MW rating, the V164-10.0 MW model is now the most powerful commercially-available wind turbine in the world – onshore or off. With an approximate tip height of 187 meters, the V164-10.0 MW model is fitted with 80-meter blades for a rotor diameter of 164 meters. The also model incorporates a stronger gearbox, some minor mechanical upgrades, and a small design change that enhances airflow and increases cooling in the converter. According to MHI Vestas, these upgrades mean the V164-10.0 MW can run at full power at a site with wind speeds of 10 meters per second for 25 years. The V164-10.0 MW is available for sale now and can be delivered for commercial installation beginning in 2021. Chartwell Marine, a pioneer in next-generation vessel design, has announced the launch of the Chartwell 24, a brand-new crew-transfer vessel (CTV) design for the international offshore wind markets. The catamaran design has been developed in conjunction with CTV operators, wind-farm owners and turbine manufacturers, responding directly to lessons learned in the construction and long-term operations & maintenance (O&M) phases of European projects. The Chartwell 24 transfer vessel is capable of carrying a crew of 24 workers. It has been built with a focus on ergonomics and safety, with features such as extra handrails and safety sliding rails. View its specs here. While the optimum composition of an offshore wind fleet remains a topic of debate, CTVs continue to play a critical role throughout development and operations. This role has evolved in line with the increasing demands of supporting large-scale deep-water wind farms, encompassing not only the safe, comfortable, and expedient transfer of technicians to and from the turbines, but also a wide range of essential logistical support activities that keep a project running on schedule. In this context, CTVs and their operators must offer considerable versatility, while maintaining the highest possible standards of safety and technical availability. As the industry looks to balance these objectives, vessel designs are becoming increasingly standardized – but there is still room to refine this formula. In turn, operators in new markets such as the USA and Taiwan have the opportunity to start on the front foot by taking advantage of the most advanced vessel technology available. The Chartwell 24, developed off the back of 10 years of data and experience in offshore wind vessel design, aims to hit a ‘sweet spot’ in vessel size and capability that has been achieved by the most effective vessels currently operating in the European market. It aims to build on those proven capabilities, while responding to new requirements emerging as the offshore wind industry expands worldwide. Specifically, the vessel, which is capable of carrying 24 industrial personnel alongside 3 to 6 crew, also boasts the largest CTV foredeck in the market, enhancing its cargo capacity. With four engines – and options for hybrid propulsion – the Chartwell 24 enables power sharing, enhancing efficiency and adding redundancy that maximizes vessel reliability and availability. As scrutiny grows on vessel emissions worldwide, this also means that the vessel is well-placed to meet international requirements, such as EPA Tier 4 and IMO Tier 3. “With the Chartwell 24, we’re responding directly to tried and tested vessel support approaches adopted throughout Europe, taking and building upon the best of proven designs and equipping international operators and wind-farm owners with a boat that is built for purpose, and meets their needs from day one,” said Andy Page, Managing Director, Chartwell Marine. Crucially, the Chartwell 24 introduces a number of safety related innovations, including a step-free deck that almost entirely eliminates trip hazards, and purpose designed walkways with handrails and sliding safety rails positioned for safe, effective and repeatable crew transfer. From an operational perspective, skippers benefit from full all-round visibility, uncompromized by deck cargo. The 18,000 tonne topside of the BorWin gamma High Voltage Direct Current (HVDC) platform has been installed on its jacket foundation in the German sector of the North Sea, where will soon be used to supply green power to more than one million German households. The giant converter arrived on board the heavy lift vessel Xiang He Kou which was used in the float-over installation of the platform at the installation site a little over 80 miles off the coast of Germany. The heavy lift vessel Xiang He Kou arrived on site earlier this month after completing its voyage from Drydocks World’s Dubai Shipyard, where construction of the BorWin gamma has been underway since 2014. Construction of the platform involved approximately 13.5 million man-hours and used 10,500 tonnes of steel, more than the weight of the Eiffel Tower. Inside the platform is nearly 550 miles of cable. Scheduled to go online in 2019, the 900MW BorWin gamma platform houses an HVDC converter station that will convert alternating current produced by offshore wind farms to direct current before transmitting it onshore to the German grid. TenneT ordered the HVDC link BorWin Gamma from a consortium comprising Petrofac and Siemens.